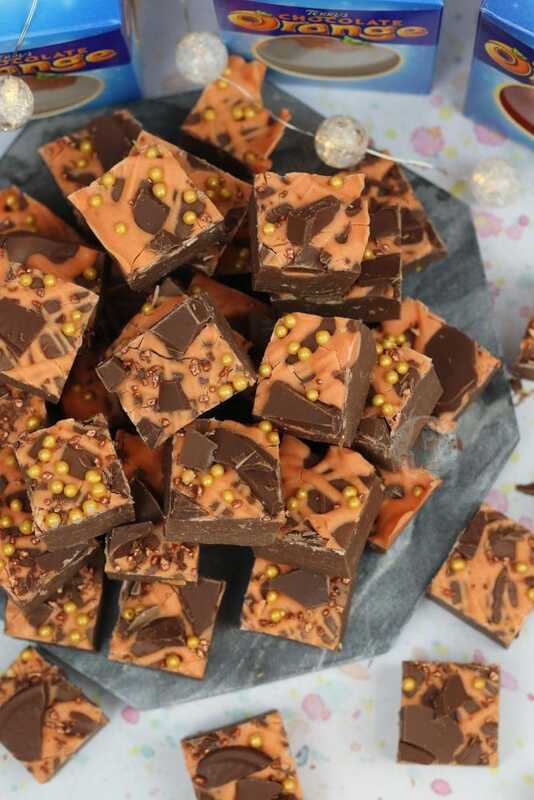 Easy, Delicious, and oh so Chocolatey.. Terry’s Chocolate Orange Fudge that is SO easy to make you’ll be making it again and again. This is officially my NINTH Terry’s Chocolate Orange recipe on my blog… and I am not ashamed. Not even slightly. I knew I wanted to do Chocolate Orange since I posted my Terry’s Chocolate Orange Truffles recipe a few months ago, and I am SO glad that I finally did. It is HEAVENLY. 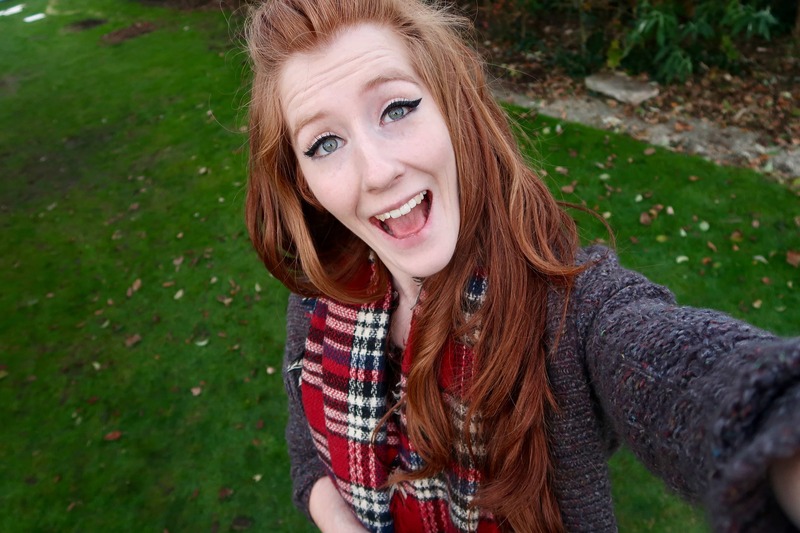 Like, I struggled to only eat a respectable amount of the fudge to myself. 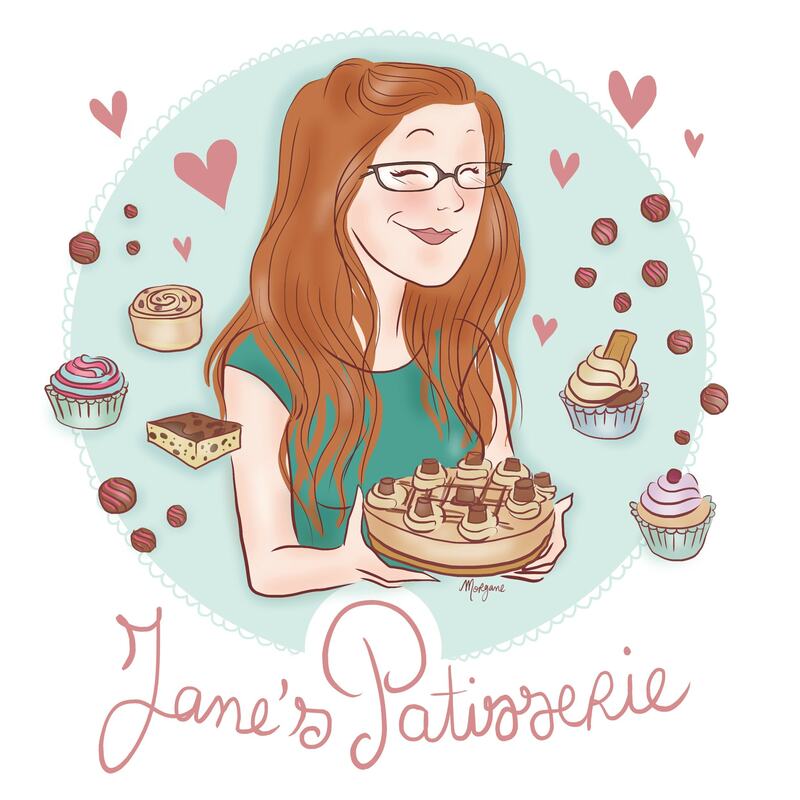 I ended up giving some away for taste tests as I didn’t want to be tooooo unhealthy… but honestly, this is a cake blog… I give up with being ‘healthy’! 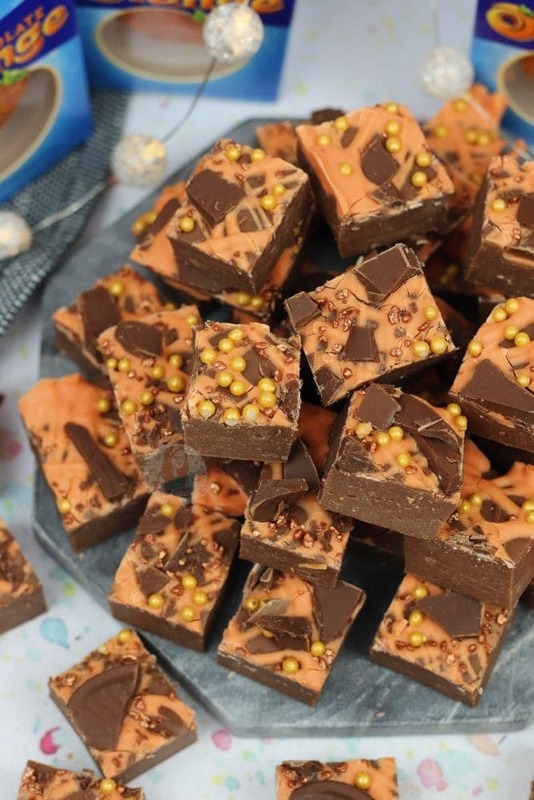 I have again used the classic idea of a Condensed Milk fudge recipe as they are just too damn easy and delicious. I was a bit wary however of trying a Terry’s Chocolate Orange flavoured one as sometimes using Terry’s it can cause a bit of difficulty because of the Orange oils in the chocolate. 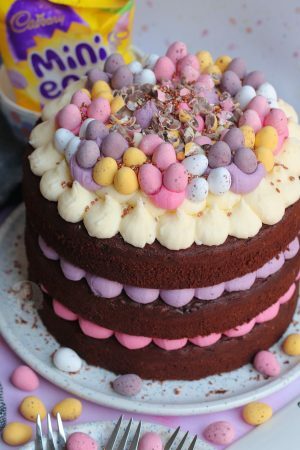 For example, I find making a chocolate orange buttercream reasonably difficult sometimes if you want a strong flavour, because its more prone to splitting! However, using it with the condensed milk it worked an absolute charm and was so silky smooth I couldn’t cope. 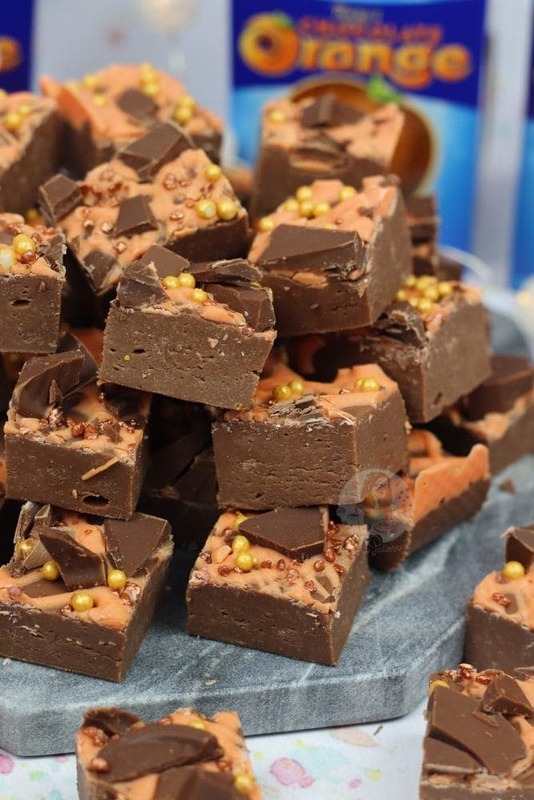 I didn’t feel the need to put anything crunchy into this fudge like I have all of my others, but I would suggest using a crunchy biscuit for example, as using Terry’s pieces would just melt and be a little pointless. 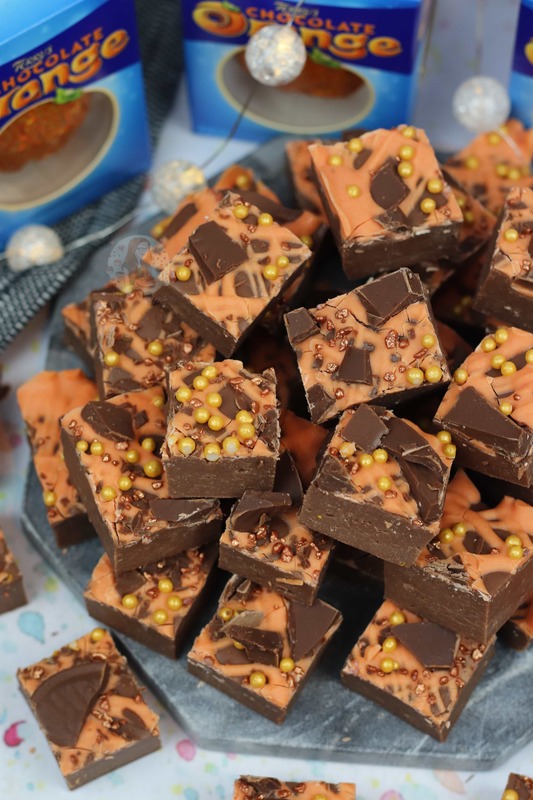 The only slight snag I had with using this chocolate, is that its not obvious as to what it is, unless you decorate it accordingly… so hello orange chocolate drizzle on top! This is of course optional, but i actually liked the flavour of the white chocolate on the top as well. Recipe Updated December 2018 – The reason I decided to update this recipe, was to make it simpler! The original recipe details are listed below, but honestly this is so much easier! Also, it’s damn delicious. As always, the decoration is optional anyway! Original Recipe – same as it is now, however the 25g butter was added in to the chocolate, and I used 400g, rather than 450g of Terry’s! If you want to make this recipe with regular chocolate, use 450g of Milk or Dark Chocolate, and add in 2tsps of Orange Extract! Line a tin with parchment paper – I would use a 7x10″ brownie tin as it makes a nice depth of fudge! 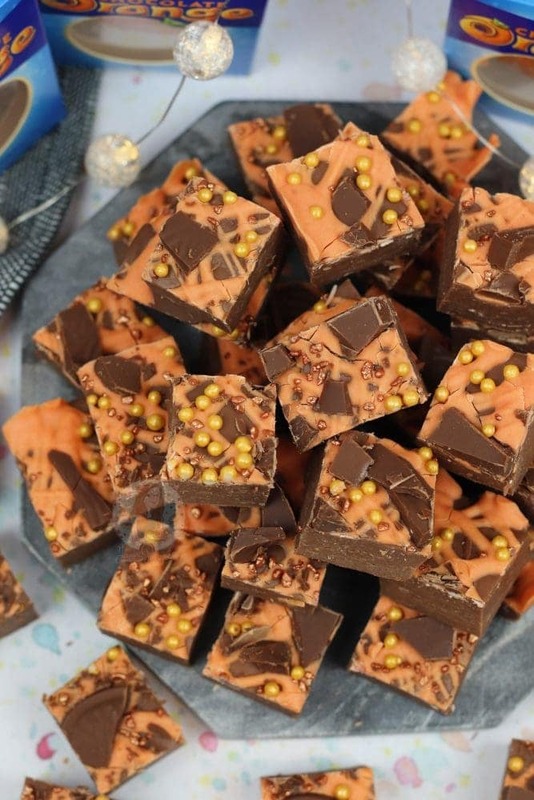 Put the Condensed Milk and Terry’s Chocolate Orange pieces into a deep heavy based pan and melt on a low heat, stiring often so that the chocolate doesn’t catch on the bottom and burn and so that all the ingredients mix together well. Alternatively, melt the Chocolate in the microwave in short bursts, then beat in the Condensed Milk with a spatula till smooth and combined. Once melted, tip in the sifted icing sugar and combine well, it make take a bit of beating. Pour into the tin and smooth over the mixture – store in the fridge for an hour or so. 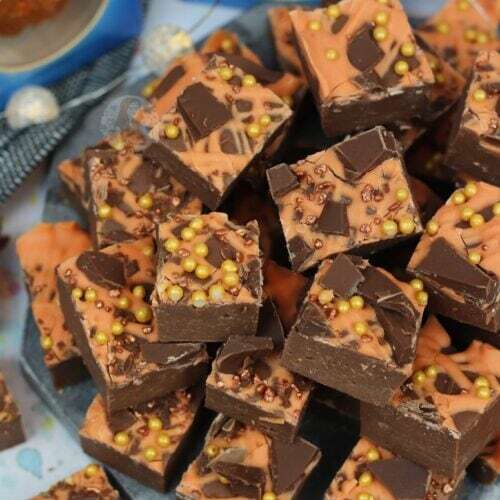 Melt the White Chocolate and mix with the Orange Food Colouring to get some orange chocolate… drizzle over the fudge, and sprinkle on some Orange Sprinkles, and any spare bits of Terry’s Chocolate Orange! 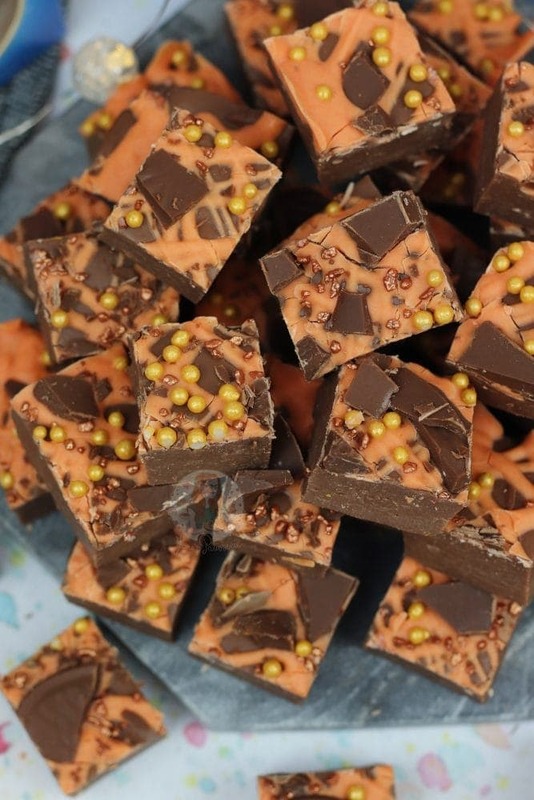 Leave the fudge to set for at least 3-4 hours, or overnight! 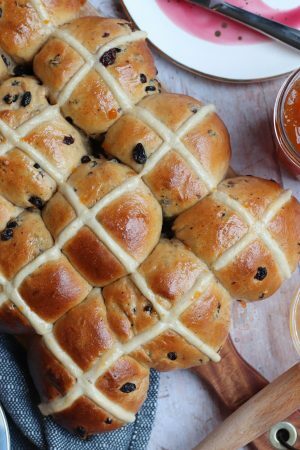 Once set – remove from the tin and cut into the squares (I cut mine 6×6) , return to the fridge for another couple of hours to finish setting – ENJOY! 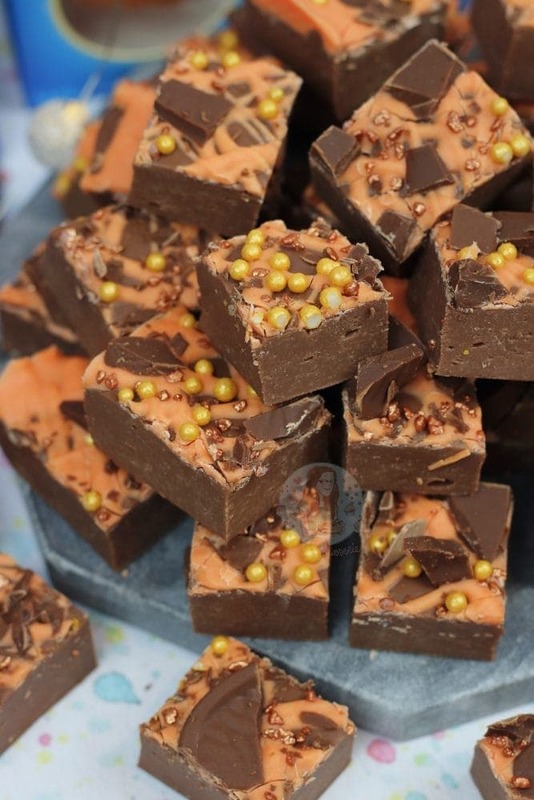 I personally wouldn’t bother putting chunks of the chocolate orange through the fudge, as the fudge is already chocoaltey orangey enough – but if you want to put something crunchy in, use anything you like! If you want to make this cheaper, use regular milk or dark chocolate, and add in 2 tsps of orange extract! 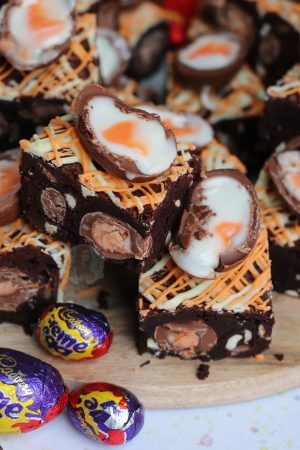 Find my other Sweets & Chocolate Orange Recipes on my Recipes Page! Older Next post: No-Bake Eton Mess Cheesecake! Newer Previous post: Mint Aero Rocky Road! Hi can you freeze any fudge? Yes, you can freeze any condensed milk fudges such as this one. Hi i have maybe read wrong but what are the meausurements foe the biscuit base ? Hi there, I’ve noticed it says 400g Terrys chocolate orange in the recipe, that’s a HUGE chocolate orange . Do we need to melt a few Terrys Chocolate oranges for the fudge or is that a typo? Nope, thats the correct amount! You need 400g total. 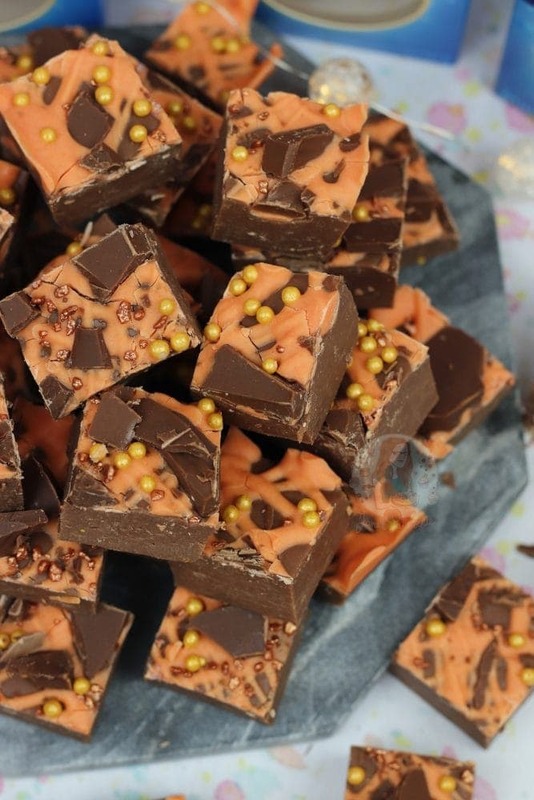 this fudge is delicious thank you so much … however when I have made it, it is very soft and doesn’t stay very firm once out of the fridge. can you add more icing sugar, or should I be whisking it for longer. Hiya – it’s meant to be stored in the fridge permanently because its condensed milk fudge and can’t be stored at room temp, so it wouldn’t become soft if it had been kept out. This looks INCREDIBLE! I am so excited to try it!